We recently joined Dimitris on a tour of the Meteora monasteries. Dimitris was very friendly and a lot of fun. We trusted Dimitris for providing accurate information and making that information interesting. We felt safe in his care and his grasp of English was very good. We had an excellent lunch and an overall very enjoyable experience viewing the monasteries. The view of the cliffs and the monasteries was not to be missed. We would definitely book Dimitris for future tours if returning to Greece. TOUR GUIDE RESPONSE: Thank you so much for your kind words.You were great too.Really good company,I wish you the best. Had an awesome time on tour with Dimitris. He's a really nice person, always making sure you're having a great time and that you're comfortable. He brought me to all the great sights and made sure I had good pictures to show for it since I was a solo traveller. I highly recommend going on tour with Dimitris - you're sure to have a great time. TOUR GUIDE RESPONSE: Thank you for kind words.It was really a pleasure being with you all these days.My best wishes to you too. Had a great time touring with Dimitris. He's really a cool guy who's always making sure you're having a great time. Highly recommend going on tour with him if you're heading to Athens. TOUR GUIDE RESPONSE: Thank you dear Anton.You were a great company.Best wishes. Dimitris was amazing. Kids loved him and he made sure we got everything possible in. He even found time for some local ice cream for the kids which was a big hit. Was by far one of the best tours we ever had. If you ever need a tour in Athens, Dimitris is the perfect guide. TOUR GUIDE RESPONSE: Thank you for your kind words guys,you are all great. WOW!!!!! Dimitris was simply wonderful. A great tour and a great guide!!! TOUR GUIDE RESPONSE: Thank you so much dear,Best Wishes!!! Dimitris was very knowledgeable and customized the trip to help us have the best experience based on our interests. We even saw a bonus secret spot at Meteora! We enjoyed talking with Dimitris about the local culture and history as we drove. The lunch was excellent, some of the best food we had, and was outside of the tourist area. Our tour with Dimitris was great! Dimitris was very accommodating to our requests when he drove us to Delphi and Thermopylae. Although his bio states he is not a licensed guide, he was knowledgeable about Delphi and answered all our questions. Dimitris likewise brought us to a delicious local restaurant, which we appreciated. Would definitely book one of his tours again, if ever we go back to Greece. TOUR GUIDE RESPONSE: Thank you so much for your kind words dear,it was really a pleasure being with you. Dimitris was a fabulous tour guide. Friendly, knowledgeable, showed us everything of interest. Would book him again. TOUR GUIDE RESPONSE: Thank you so much for your kind words Stefanie,it was really a pleasure meeting you and having this tour with you.Best wishes to the whole family. Dimitris was excellent. He was informative, professional, friendly and very patient. He had eight people to please and he did. 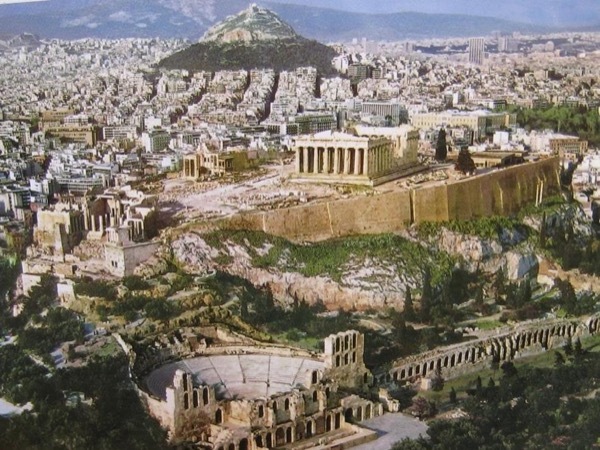 The Athens tour covered everything we wanted to see, plus. I would definitely recommend the agency and expect to use it again in my travels. Thank you Dimitris. TOUR GUIDE RESPONSE: Thank you so much for your kind words,it was really a pleasure being with your great family. Dimitri was very attentive and he explain to us a lot of the places before we did arrive. He took care of us and made sure we have the best local food with a great view. I am very sorry for what is going on in Athens with the wild fire and I hope you and your family are safe. Praying for Greece!! TOUR GUIDE RESPONSE: Thank you dear Maribel,really you deserved the best,I am glad you enjoyed our trip.I and my family are safe.God bless and my best wishes for you. Dimitris was great and gave great insight into the Athenian landmarks. We saw all the highlights we wanted to see in Athens and more. The local tavern he took us to for lunch was fantastic. Everyone enjoyed the tour! We highly recommend Dimitris.